Over a period of several months, an in-depth study of Sunflower Village roads was conducted by 25 graduate students in the Department of Civil and Architectural Engineering at Lawrence Technological University. This assessment was overseen by Professor Nishantha Bandara, PhD, PE who is a faculty member at LTU with extensive experience in road construction, design, maintenance and repair having also served for many years in MDOT. The findings of their assessment are linked below for your review and should be viewed in conjunction with the other PASER study of SVHA roads conducted by SME Engineering. Lawrence Tech has graciously agreed to repeat this study every few years and share their findings with Sunflower residents in an effort to objectively inform residents of the road condition. There was no cost incurred by our Association in coordinating the assessment with LTU. There’s no sugarcoating the situation: We all know that miles of roads in our Sunflower Village Subdivision have deteriorated so much that they are eyesores, a teeth-rattling nuisance or downright unsafe. The Sunflower Road Committee wants to spell out the hurdles to repairing our roads, share an engineering study that rated our roads, reveals actions already undertaken to help repair several roads, list several possible courses of action and ask for residents to get involved in improving our subdivision. 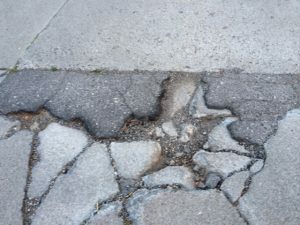 In a nutshell: Our roads are owned by Wayne County, which for several reasons, including its severe financial troubles, does not allocate anywhere near sufficient funds to repair subdivision streets. Canton Township, like all townships in the state, does not receive a share of revenue from the state fuel tax or vehicle registration fees. Several sources that have reviewed our road situation estimate the funding necessary to repair our roads at the present time is a staggering $11.5 million. The Road Committee requests that residents closely read this report and the engineering study. Only by working together as a community can we attempt to solve our road woes. The roads within Sunflower are the legal property of Wayne County. They were assigned to the county by the developers who built our homes and adjacent infrastructure (i.e. streets, drains, catch basins, etc.). Some of our roads are relatively new, but others are approaching 40 years old. Many people ask why our state fuel tax and registration fees do not provide funding for our residential streets in Sunflower. Under state law, Public Act 51, fuel tax and registration fees are collected by the state. The state has a formula to disperse these revenues: 38% goes to state roads (MDOT), 38% goes to county roads and 24% goes to municipalities. Townships receive no funds under PA 51, which was enacted in 1951 and amended several time over the decades, last in 2010. However, cities and villages are eligible for PA 51 funding. Since Canton is organized as a charter township and townships are not eligible for PA 51 funding, Sunflower roads are not covered by PA 51 funding formulas. Townships in Michigan are essentially on their own to address the funding problems of subdivision streets. The Wayne County Roads Division is responsible for maintaining hundreds of miles of primary and secondary roads in the county. Primary county roads include Canton Center, Beck, Warren, Cherry Hill, Lilly and Haggerty, just to name a few in our area. While Wayne County owns Sunflower’s roads, it contends it lacks significant revenue to address subdivision streets in Sunflower and the rest of the county’s ever expanding subdivisions. Despite its financial issues, Wayne County has provided a few programs to help townships address the woeful conditions of their subdivision streets. Its members inspected the condition of the drains throughout Sunflower and compiled a list and location of those in need of repair. Many of these drains have been repaired and others are on a list to be repaired in the near future. The cost for these repairs has been underwritten by Wayne County through the Wayne County Drain Commission’s budget. Selected road surfaces along the north side of Hanford, where it intersects with Marshall, were replaced by the county in the fall of 2015. These deteriorating sections were identified as a serious safety issue. Many residents swerved from the west-bound lane into the east-bound lane to avoid the damaged concrete. In addition, several other sections were replaced during this phase of work along Hanford up to Weathersfield Way. Committee members worked with county and township officials to participate in the Wayne County Intergovernmental Fund, which allocated money to townships for residential road repairs on an 80%-20% basis. This was a multiyear effort that began shortly after the Road Committee’s formation and culminated in repairs to certain roads within Sunflower that were identified by two engineering firms as the most deteriorated and the least safe. Those repairs began in August of 2016 on Waddington off Beck Road. Waddington has been one of the main entranceways into the south side of Sunflower. Committee members worked with the Department of Civil Engineering at Lawrence Technological University to identify methods to better maintain our roads and forestall further deterioration. A professor recently notified the committee’s chairman that Lawrence Tech will begin a graduate-level study project of Sunflower roads. We welcome the opportunity to work with the university and will look for additional opportunities to involve others in making our roads safer and last longer. The committee contracted with SME Engineering to conduct a Pavement Surface Evaluation and Rating (PASER) study of all roads in Sunflower subdivision. The PASER study is contained in a separate document on Sunflower’s website. The work of the Road Committee is an ongoing effort and depends, in no small part, on the willingness of residents and others to share their ideas, time and perspective to make Sunflower an even better place to call home. You are welcome to learn more about the committee and get involved by contacting the office at the Hanford Clubhouse. The committee is chaired by Ron LeTourneau, vice president of the Board of Directors. Other members include Doug Adams, Mike Hansel, George Kruczek, Bob Morris, Bob Parker, and Bill Springer. The name of each surface street has been inserted on the corresponding road. Areas within the subdivision are identified in “BOLD,” such as SUNFLOWER SUBDIVSION 1, etc. A color has been superimposed on each street indicating the condition of its road surfaces, based upon the engineering assessment. An explanation of the color code system (see PASER RATING legend), with numerical ratings from 1 to 10, can be found adjacent to the map. The color code and numerical value is an industry standard known as the Pavement Surface Evaluation and Rating (PASER) that was developed by the Transportation Information Center at the University of Wisconsin. Small circles contain a number with an arrow pointing to an area of a street. That number corresponds to another chart called Road Section Detail Summary, which contains more information on that particular section of road, such as square footage and numerical PASER rating. On each map, you will find a spreadsheet that contains a detailed PASER rating of smaller sections of road within Sunflower Subdivision. The summary contains a number corresponding to a specific section of road surface, the construction material used in making the road, the square footage of that section and the PASER rating. The map also contains a pie chart and a legend explaining the different colors on the roads. This chart summarizes the PASER ratings for the total road surface area of Sunflower Village. The Pavement Surface and Evaluation Rating (PASER) system manual is the industry standard for assessing the quality of existing concrete roads. This system was used by SME Engineering in its evaluation of the approximately 17 linear miles (34 lane miles) of road in Sunflower Subdivision. The PASER manual explains the road quality for each numerical designation assigned on a scale from 1 to 10 … or FAILED road condition to EXCELLENT road condition. It also has examples and photographs of roads falling into each numerical designation or category. The final section of the manual is titled “Practical Advice on Rating Roads,” which is useful in better understanding the condition of our roads. The Sunflower Road Committee has explored a variety of opportunities — those currently in place as well as prospective options — to secure funding to repair our subdivision roads. Through the aggressive work of the Roads Committee, last year Sunflower saw significant improvements on Hanford Road and at catch basins throughout the subdivision. And this year we saw the reconstruction of Waddington and (part of) Carlton. In addition, the Roads Committee and the Board of Directors contracted with a private engineering company to review and to prioritize the road needs of our entire subdivision. This “PASER” study reveals the enormity of the challenge in Sunflower given our 17 linear miles of roads, the age of the roads and the underlying safety considerations for our residents. There are no identifiable sources of funding available to subdivisions within charter townships such as Canton; therefore, we will explore existing and novel methods to address road improvements. An alternative available to subdivision residents in Michigan townships are SAD’s – special assessment districts. A group of homeowners can petition the township for an SAD for the roads adjacent to their homes. With the consent of a super-majority (66%) of effected residents, the township board will obtain a bond to secure repayment of the road repairs by the subdivision residents. The homeowners reimburse the township for these repairs normally over a period of 10 years. These payments would be added to winter and summer tax bills. Persuade township officials to include an initiative on the ballot in a future election in which the township would assess every homeowner a sum of money, in the form of a millage tax, exclusively for the purpose of repairing roads in residential subdivisions. This option would require approval by a majority of Canton Township residents. Sunflower, however, then would need to compete with other subdivisions for a share of these funds. There are precedents in other Michigan communities that transitioned from a township to a city form of government. A major advantage to becoming a city would be access to Public Act 51 funds (gas tax revenue) that could be used for residential roads in subdivisions. The Road Committee has done significant research on this subject and has compared the pros and cons of this transition with a local community with almost the same population and square miles — Livonia. This option would require township approval to include this as a ballot initiative for residential approval. Seek legislative support for a unique designation for certain townships in Michigan with populations in excess of 85,000 people and, therein, accord those “Super Townships” the same assess to PA 51 funds that cities now enjoy. This may require amending PA 51 by the Michigan legislature. (The act has been amended several times since its enactment in 1951.) There is no designation of communities as “Super Townships.” Canton Township, however, is the second-most populous township in the State of Michigan. PA 51 funds then could be used for the purpose of residential road repairs as they are in chartered cities. The road replacement at Waddington and Carlton was sponsored by Wayne County with a smaller portion of funding support through Sunflower. Wayne County footed 80% of the bill for the road repairs. 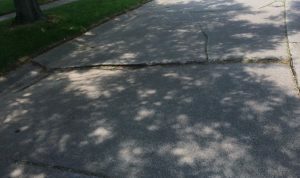 We believe it is appropriate to seek additional funding for residential roads in township subdivisions supported by county and township initiatives. The Road Committee believes that the information contained in the PASER study would put Sunflower in an excellent position to objectively support our taking advantage of such funding. Increasing homeowner association dues likely would not generate sufficient funds on a timely basis to tackle the necessary road repairs. For example, if a road repair surcharge were added to the annual dues in the amount of, let’s say, $100 a household, a fund of roughly $167,000 would be created. The total repairs identified in the PASER study would require — conservatively — $11.5 million. So a relatively reasonable dues increase would be insufficient to address a problem of this magnitude. Of course, we always could leave the subdivision roads as they are. From the PASER study we learned that many of Sunflower’s roads are in “good condition,” especially those constructed in recent years. These roads, though, will deteriorate over time and gradually reach the same designation as the roads deemed in “poor condition.” The worst roads today, of course, will continue their downward spiral. The Road Committee learned from its research that the general life expectancy of subdivision roads constructed with concrete is approximately 20 years, according to Lawrence Technological University’s Department of Civil Engineering. The concern the Sunflower Road Committee has with a “do nothing approach” is that eventually all of our roads will not only become an eyesore, they will be unsafe. In summary, there is no perfect or easy solution. We invite our fellow residents to get involved, examine the results of the PASER study and learn more about the issues underlying road maintenance and road repairs. The Sunflower Road Committee, meanwhile, will continue to do whatever it can to find ways to improve our roads.